This relates to PR tangentially, but it's really about African elephants and one woman's commitment to do something significant to fight one of the most persistent and acute threats to their survival as a species: poaching. Margot Raggett is a renown wildlife photographer in southern Africa, who many years ago worked with me on the UK PR trade association board. Now she's combining her skills in photography and public engagement, rallying communities to serve a shared passion for celebrating and protecting these magnificent creatures. 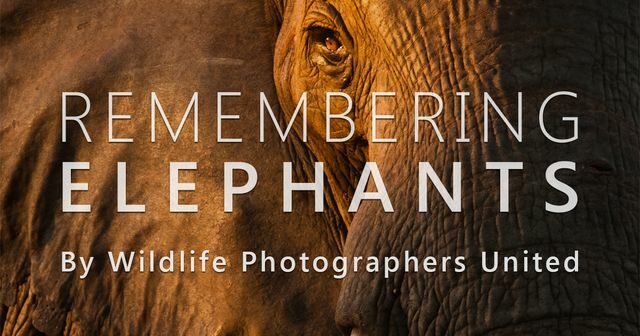 Her project, Remembering Elephants, features the work of 64 of the world's top wildlife photographers, compiled into a gorgeous book, produced and printed through a successful Kickstarter campaign. Proceeds from the sale of each book will go to fight poaching, and you can pre-order though the link below. This unprecedented book will show the typical story of the life of an elephant from birth to death, using photographs donated by 64 of the world’s top wildlife photographers. Producer and wildlife photographer Margot Raggett says the aim is to create the most beautiful book on elephants ever made. With book production and printing already paid for via a successful Kickstarter campaign, 100% of proceeds from the sale of each book will go to fight poaching.